Reiki Workshops and Classes - Fit, Healthy and Fabulous! Reiki is a beautiful life-force energy given to us as a gift to renew and heal ourselves from within. I teach the Usui Reiki Method of energy healing in my Reiki Workshops and Classes. In class you will be attuned to Reiki energy, connecting you to this incredible source of love and light. After the Reiki attunement you will be opened to the flow of Reiki energy, enabling you to channel its energy to others, your pets, wildlife and yourself. You will be taught how to meditate and allow this divine gift to come from the light and energy above, through your heart and out through your hands to the recipient. Reiki 1 Practitioner: Reiki Level 1 is the first step in your beautiful journey with Reiki energy! Reiki Level 1 is the introduction to Reiki, Reiki’s history and lineage. 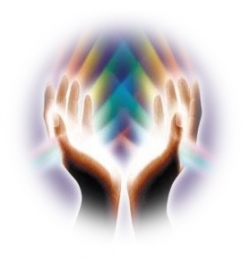 Reiki Level 1 provides you with your first attunement. Once you are attuned to Reiki, you are able to scan the energy field and channel the healing energy for yourself at any time, simply by your intention. You can help reduce stress levels, anxiety and relieve pain in your own body. The future of your Reiki experience and benefits are endless. Reiki 2 Practitioner: This class is for those who are ready to expand their Reiki energy to the next level. Reiki Level 2 is stronger, it opens the energy channels even further and deepens your experience with Reiki. Reiki Level 2 includes the attunement of, learning and using the three Reiki Level 2 symbols. You will learn how to use distant Reiki and will practice doing complete Reiki treatments on others using all of the symbols. Learn how to scan the body and clear out energetic blockages. This is the level where people feel Reiki energy increase and start to focus on healing others as well as themselves. Reiki Level 1 is required to take Reiki Level 2. Reiki 3 – Master Practitioner: This is the third level of Reiki to become a Master Reiki Practitioner. It is a step further into your own self-discovery and personal development. It is also a further commitment to the practice of the Usui Reiki healing system. In Reiki Master Level 3 you will be attuned with the Master Symbols. This level increases your vibrational energy and the ability to channel energy even further, you will learn how to work on a more spiritual level. This level opens you up to so many possibilities, many have found their true path in life after this level. Reiki Level 1 and 2 are required to take Reiki Master Level 3. Private Training: Please inquire about private training fees and availabilty. Animal Reiki Practitioner: Learn to use the healing power of Reiki energy with all animals. This class is for those who have completed Reiki 1 and 2 and wish to learn effective ways to use and deepen their connection with Reiki to support animal companions and wildlife. Learn and understand the difference between giving a Reiki session to a human and to an animal, learn to identify signs of stress and illness in an animal. Reiki with animals is an amazing experience and very different from our human recipients. Reiki Level 1 and 2 are required to take the Animal Reiki Class. For more information on Reiki classes please contact us at Fit, Healthy and Fabulous Reiki Workshops and Classes.